Canada Express Entry–How To Increase Chances Of Getting Selected? 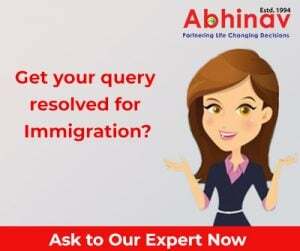 Immigration to any country is a hard pursuit even as if you are not fully aware of its programs and visas; the movement is technically more frustrating. In the first place, if you are able to get a good immigration attorney, you can figure-out innumerable ways that can help you move without any trouble whatsoever. In the year 2014, under the proposal of Immigration, Refugees and Immigration Canada (IRCC), the Expression of Interest (EoI) or Express Entry Programme came into existence. This programme has been both exceptional and extremely favorable for immigrants. The best part about Canada Express Entry is faster movement guaranteed under it. The visa is streamlined and readily processed for movement in not less than 6 months time. But if you are seeking the immigration, you must take note of one thing: only skilled immigrate under the specific programme. One must be pretty influential with the skills and expertise to claim this programme for the movement. Under it, the applicants are assessed based on their skills and accordingly they are picked up from the Express Entry pool. How the Express Entry Pool Works? In the first place, the applicants have to enter valuable details about their profile on the Express Entry profile. The details would include the age, educational qualification, work experience (Canadian and International), adaptability and skill transferability. Once the Express Entry system evaluates all the information that is fed in the system, it will process them and send forth the best applicants to the next level in the Canadian Job Bank. Once there is a list of candidates which are stored in the Express Entry pool, the employers from different provinces can pick the right candidate and ask them to move instantly. Now, it may seem that the process is simple, but it ain’t in reality. The applicants are assessed across a diverse platform even while only the best are able to make it to the Express Entry Pool. It (the pool) is the most important aspect in the immigration and only the applicants from the Express Entry Pool is picked for the movement. How to increase the Chances of Getting Selected from the Pool? This is a very important and extremely difficult question. Every individual applying for the programme would like to see them high up in the priority ladder. It is one of the most important aspects of getting resonance in the Express Entry Pool. If you want to get more weightage among other applicants, you will have to score a good rank in the CELPIP test. A good score in IELTS and TOEFL would improve the chances of getting picked up from the pool. The Comprehensive Ranking System (CRS) is the decider, and one must note that once the applicants are able to score a high rank in the CRS, they would easily enter the LMIA. The LMIA demand will evaluate the application and give them Invitation to Apply (ITA). With the ITA they can apply for Permanent Residence (PR) in the Maple County. Those who have secured 600 points out of 1,200 points in the CRS would be considered for the movement with a better intellect. To increase the chances of getting selected from the pool, it is always good to provide the right score of the CRS. If you paint a rosy picture by providing the wrong inputs, you must know one thing that it won’t pay you back in the long term. When you are filling in your details, you must take note of one thing that you shouldn’t trust the Express Wizard religiously. Even though the Express Wizard reads that it has been completed, you must cross check all the facts and then only you must submit the documents. There are often instances when the complete information is not given and you may end up screwing the possibilities with your over assumptions. You must avert from such assumptions and build a real profile.